Install the .NET Core 3.0 from https://github.com/dotnet/core-sdk. Launch VS and click the ‘Create a new project’ item in the Get started page. Then find the Windows Forms app (.NET Core) template in the Create a new project page. The template name ‘Windows Forms app’ is not localized. 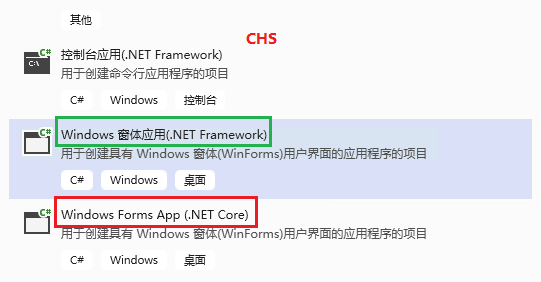 The template name ‘Windows Forms app’ should be localized corresponding to the Framework template name. @zsd4yr can you please follow up with @jmarolf on this? @dreddy-work can you move this issue to dotnet/templates?